This sprawling collection of sights can be found adjacent to some of the region's most acclaimed restaurants, galleries and boutiques, making the downtown region perfectly accessible and enjoyable for visitors of all tastes. A fascinating stroll regardless of which direction a visitor veers first, the Downtown Beaufort scene is certain to keep any newcomer or long-time visitor perfectly charmed and completely entertained. 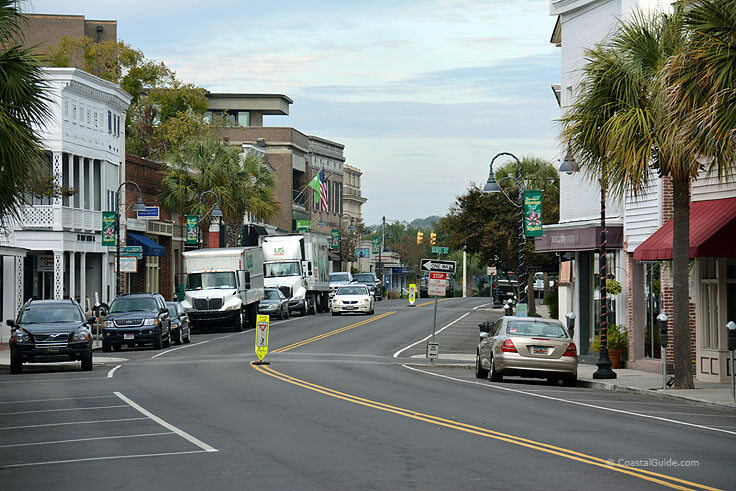 Downtown Beaufort is primarily centered along Bay Street, a historic commercial street that runs along the borders of the Beaufort River. 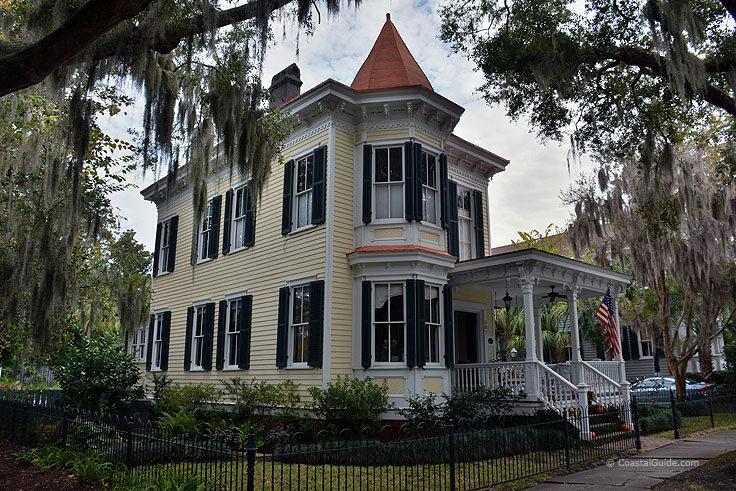 Here, visitors are within a stone's throw of the gorgeous Henry C. Chambers Park, as well as a handful of Beaufort's large selection of historic homes, including the Cuthbert-Scheper House, the Lewis Reeve Sams House, and the Verdier House. Additionally lined with historic two to three-story shops that were once the "hub" of the city, a long walk along Bay Street and the small side-streets in between the water and the rest of the downtown area provides more than enough attractions and entertainment for a full afternoon. Be sure to pop into the local galleries and waterfront restaurants for exceptional meals with equally exceptional views, and check out the local tour businesses along this street which feature a variety of different ways to explore the streets in detail, like a horse-drawn buggy. While this section is characterized as the main "downtown," Beaufort's Historic District is actually broken down into five distinct neighborhoods. The Point neighborhood, locally referred to as simply "Old Point," is home to some of the town's oldest, biggest, and most luxurious homes. Located in between Carteret Street and the Beaufort River, this region diverges from the typical grid-style layout that is prominent in the rest of the downtown area, as it was originally home to a major Timber mill. Victorian and Queen Anne style homes overlook the riverfront and are shaded with a towering canopy of live oaks, making this section of downtown one of the most beautiful regions in Beaufort, and ideal for a lazy evening stroll. The Bluff, technically located just west of the original Downtown along the edges of Bay Street and North Street, features some of the most recognizable historic homes in the city, as well as the famed art deco-style U.S. District Courthouse. Meanwhile, the Old Commons section of town, located in the northeastern portion of the historic region, is a unique collection of graveyards, commercial structures, and standard-sized historical residences. 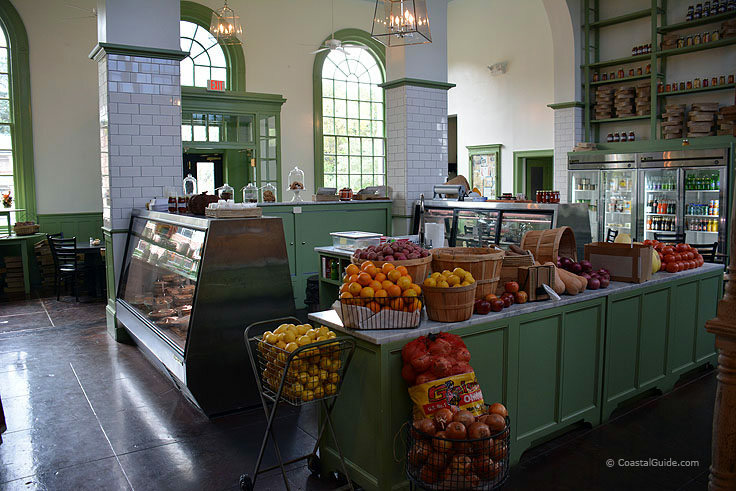 While a neighborhood renovation is in place in Old Commons, which entails replacing some of the older buildings and homes with modern structures, this section of downtown still retains its southern charm and overall engaging atmosphere. The northwest quadrant neighborhood is a mixture of 19th and 20th century homes that are narrow and relatively small, but are no less distinct. The main road that runs through this section of town, Bladen Street, was recently renovated and provides ample pedestrian and parking access. Regardless of where a visitor lands in Downtown Beaufort, there's plenty of shopping, restaurants, and accommodations to go around. A number of chain hotels, locally owned inns and Bed & Breakfast can be found just a block or two away from the riverfront, and adjacent to some of the best restaurants and amenities on the South Carolina coastline. In addition, Downtown Beaufort has dozens of restaurants that can cater to virtually every palette, but which really shine when it comes to fresh, off-the-docks seafood. Ranging from classic crab shacks to upscale local grills, virtually everyone can find a delicious meal to suit their mood after a long stroll. With easy-to-traverse streets that feature pedestrian walkways shaded by miles of live oaks and Palmetto trees, walking through Beaufort's most renowned neighborhoods, (specifically the original "Downtown," and the beautiful Old Point), is simply a breeze. During the summertime, the stroll can be a humid adventure, but there are plenty of local tour companies that are happy to make the trek easier, (and more informative), via a horse and carriage, a riverboat, or even a bus ride. There are also several companies that feature thorough walking tours that touch on some of the region's most notable homes and buildings, often hidden in plain sight next to a line of perfectly picturesque southern homes. If nothing else, Beaufort newcomers can pop into the South Carolina Visitors' Center, located in the heart of downtown on 713 Craven Street, to load up on area maps, walking guides, and information on all the cool sights and points of interest that this region has to offer. Beaufort's downtown is where a visitor can expect to spend most of their stay in this historic and charming small southern city. Featuring the largest selection of the region's best restaurants, historical attractions, public parks, art galleries, boutiques, and overall accommodations, this waterfront destination has virtually everything a South Carolina visitor could possibly need to dive into this acclaimed coastal region. Smaller than neighboring Charleston's downtown, but just as charming, Downtown Beaufort is a great way to enjoy southern hospitality, history, and modern amenities in an entirely new light.